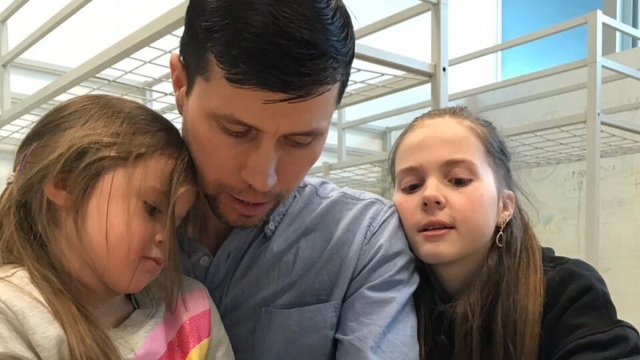 Swedish authorities have ordered the "arrest in absentia" of Denis Lisov, the Russian father who fled with his three daughters to Poland after Swedish social services seized his kids and placed them with a Muslim foster family. The �rebro district court has arrested Denis Lisov in absentia on suspicion of child abduction, Swedish national broadcaster SVT reported. W sprawie Denisa Lisova nie mo�e umkn�� wa�na posta� mec. Babkena Khanzadyana, polskiego Ormianina, wspania�ego cz�owieka. Zaanga�owa� si� w spraw� i z mec. @BartoszLewand20 uratowa� rodzin�. While the decision was praised by Polish Interior Minister Joachim Brudzi�ski and Russian human rights ombudsperson Tatiana Moskaltsova, who hailed Poland's handling of the case as a "a good example of a fair solution strengthening family relationships", the Swedish Foreign Ministry informed its Polish counterpart that it was preparing a request for the children to be handed over to Sweden. "The Decision on the provisional arrest of Denisa Lisova by the Swedish court constitutes a blatant infringement of the law of the Intermarket. We Analyse its content. The Next step is the Europ. Arrest Warrant. The Defense of Denis and his daughters in Poland will be a struggle for the autonomy of the whole family. And elementary principles of decency."